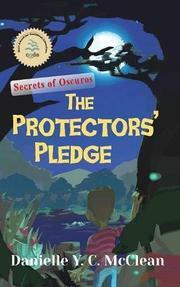 In McClean’s debut middle-grade novel, a 12-year-old Caribbean boy must save the day when he discovers danger lurking in the forest in the first installment of the Secrets of Oscuros series. Jason “JV” Valentine lives on the Caribbean island of Alcavere with his grandmother, Granny B, the town’s herbal healer. JV has always had a longing for travel and adventure and decides that during his vacation, he’ll explore Oscuros, the mystical, forbidden forest on the outskirts of town. Despite the mystery and superstition surrounding Oscuros, JV is unafraid. He’s frequently accompanied Granny B on trips there to pluck herbs and flowers and “often…felt a strange pull from the forest—as if an unseen force wanted to usher him deeper in, away from his grandmother, his home, and his village.” But when Adelle De Couteau, a neighborhood girl, goes missing in Oscuros, tensions run high, and JV’s friends urge him not to return there. Then the boy overhears a neighbor say that Granny B found the abandoned, infant JV in Oscuros long ago. He’s shocked, as it reveals that everything that his grandmother had ever told him about his traveling, adventurer parents was a lie (including their handwritten letters, likely written by Granny B herself). But as JV wanders deeper into the forest, he stumbles upon a dangerous operation and receives assistance from an unlikely supernatural ally. Overall, JV’s side story about discovering his true parentage could have been fleshed out a little more. That said, he remains a consistently strong character throughout this tale and one whom readers will root for. McClean effectively infuses Caribbean elements into the text, including specific elements of Trinidadian folklore and culture. For example, JV’s aforementioned encounter with Papa Bois, the titular protector of the forest, is an integral part of the plot. Additionally, the text is peppered with local words and phrases (such as “Bless my eyesight,” meaning “I can’t believe my eyes”), which helps to create an authentic setting. McClean also provides a helpful glossary of terms at the end of the book. A fast-paced read featuring a smart, young protagonist.